2 1/2 acre waterfront 4 bedroom single floor family home with views out to sea. 20 minute walk or 5 minute drive to the beach and local bird sanctuary. Ideal for bicycling and jogging. Long drive off of quiet street. Easy drive to thriving Newport with its lively nightlife, many local and national stores and renowned restaurant scene with a full menu of gourmet, seafood and budget dining options. Local pudding-stone racks below the house perfect for rustic picnics by the water. Secluded setting overlooking the ocean and Sakonet with view of Little Compton lighthouse. In the evening watch the moon rise over the water. Bedrooms and living areas in separate wings, allowing quiet rest. Rentals for one month or more. Have spent every summer of my life in this wonderful house. With a long family history in Rhode Island and on Aquidneck Island, we have long enjoyed this peaceful retreat conveniently accessible to the hustle and bustle of Newport. We are happy to be able to share its quiet grandeur with you. 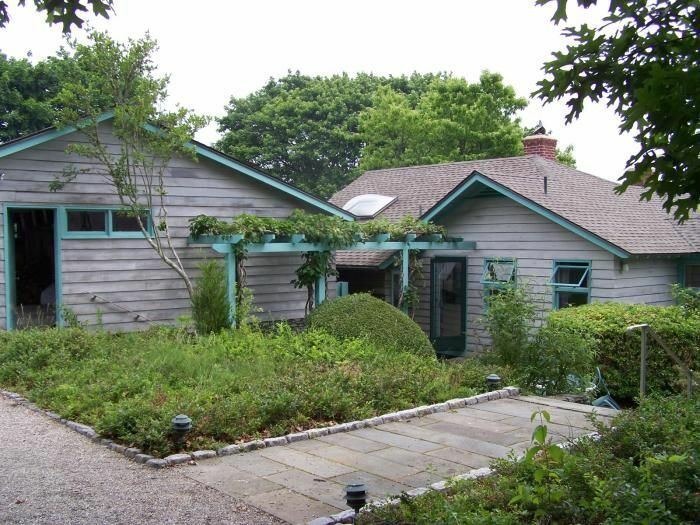 The property is located in Middletown with its well-reputed public schools and easy access to beaches and the year-round amenities for which Newport is known. Happy to work out an agreement about your dog. Great location away from the crowds and noise of Newport. Lovely home which works quite well for a family. Separate common rooms and bedrooms are a real plus. Near Second Beach, known for its waves and Third Beach with calmer waters suitable for families and sailing. Down the street from The Norman Bird Sanctuary, Sachuest Point Nature Preserve, also renown for its birds. Newport National Golf Course (open to the public), Newport Equestrian Center are also nearby. Polo every Sunday in Portsmouth. A 5-minute drive inland takes you to a fresh vegetable farm and grocery stores, a fish market (with restaurant), meat market and other specialty stores. 15 minutes to downtown Newport with further sailing and beach options, many shops, Newport Mansions, museums and excellent restaurants to choose from for every budget. Golf: There are public and private courses within 20 minutes of the house.